DAVID LE/Staff Photo. 6/19/15. 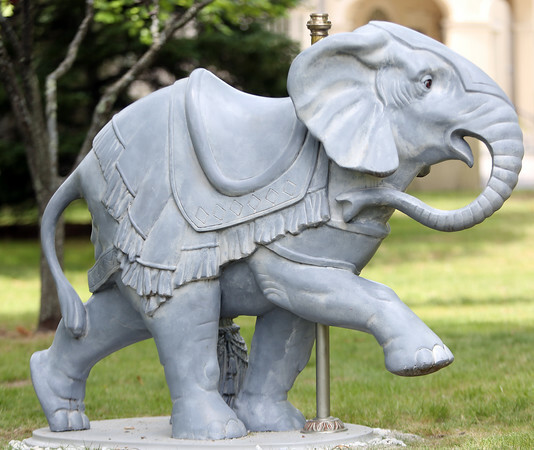 The Art of Sculpture exhibit is on display outside on the front lawn of the Peabody Institute Library on Sylvan Street in Danvers. This piece is "Elephant" by Jeffrey Briggs.